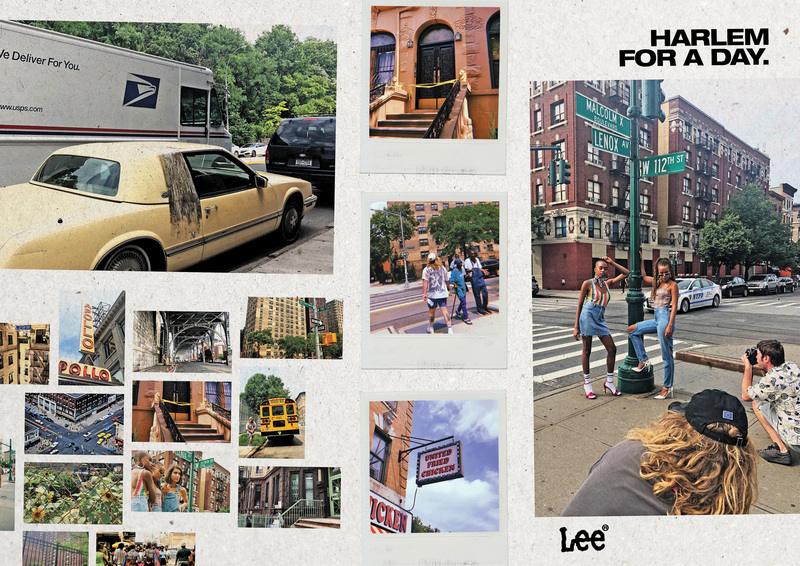 Back in July we headed over to NYC to shoot our new Harlem denim collection. In between takes we managed to hit up some of NYC’s best hot spots and hidden gems. To get the lowdown for your next trip, check out our ultimate hit list for the city that never sleeps. We’d be lying if we said vintage shopping wasn’t high on our agenda so if original Lee denim is on your Wishlist then make sure you hit up one of our Top 3 picks below; 10 Ft Single Stella Dallas – Located in Brooklyn this bad boy is a definite must, there’s over two massive rooms of epic treats for guys and girls. If you’re after a party shirt or some epic vintage denim this is the place to be. Beacons Closet – Deep in Williamsburg, Beacons Closet is great if you want some well priced vintage gear. Like an op-shop on steroids, if you search hard you’ll definitely find something epic. 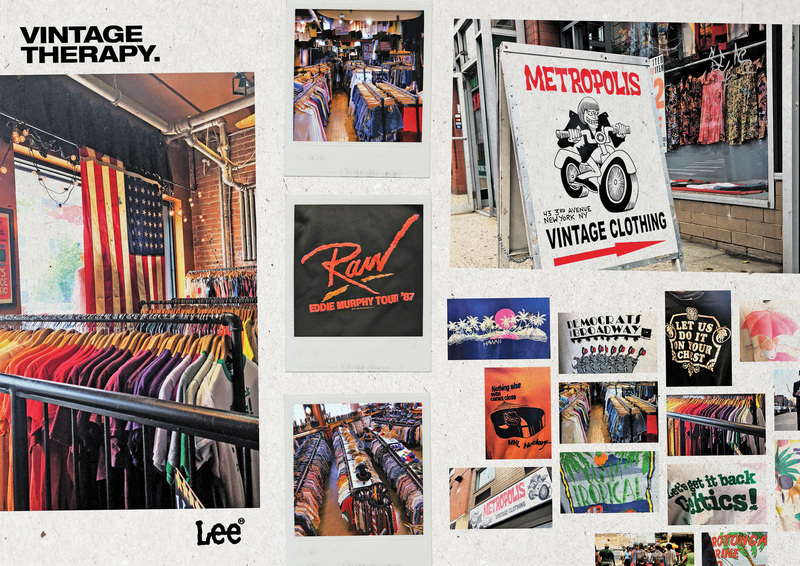 Metropolis Vintage – In the heart of downtown NYC, metropolis is a vintage t-shirt haven. They’ve got you sorted from band t-shirts, 90’s sport tees, holiday tees, literally the works! Also never disregard the miscellaneous t-shirt section, always some corkers in there that some people skip by. New York isn’t short of a museum, but MOMA was our pick of the bunch thanks to it’s epic mix of modern and contemporary art. 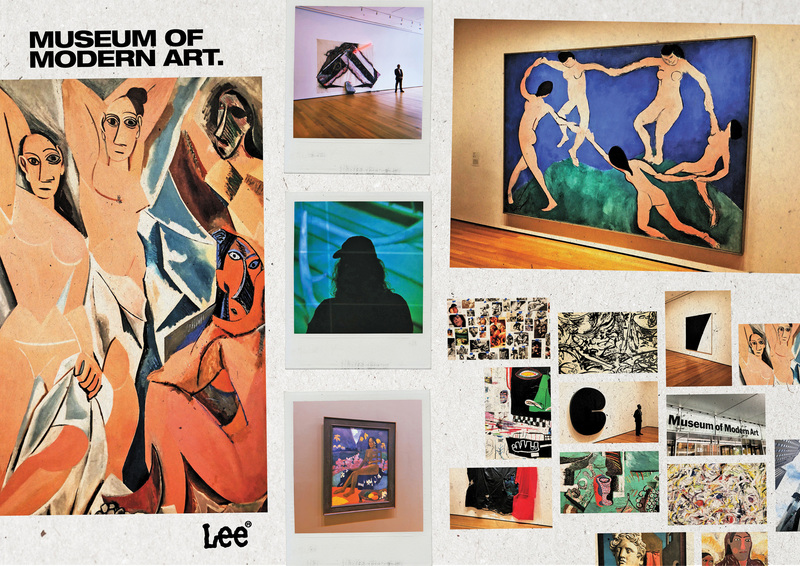 It houses the works of some of the most recognisable names so even if you ain’t all that much of an art buff, you’re bound to be impressed when you walk past a Picasso, a Basquiat or Warhol’s famous Campbell soup cans. Artworks aside, the gift shop is a highlight in itself and is one of the biggest drawcards to the museum – so much so they have even opened a second store in Soho. It’s full of some seriously epic jewellery, homewares and even a few token souvenirs for your mum that sure as hell beat the rundown gift stores located in Times Square. When we weren’t busy shooting all things Harlem, we were busy eating all the things. Luckily for us we’d packed our Air Denim so we had a little extra room to indulge. 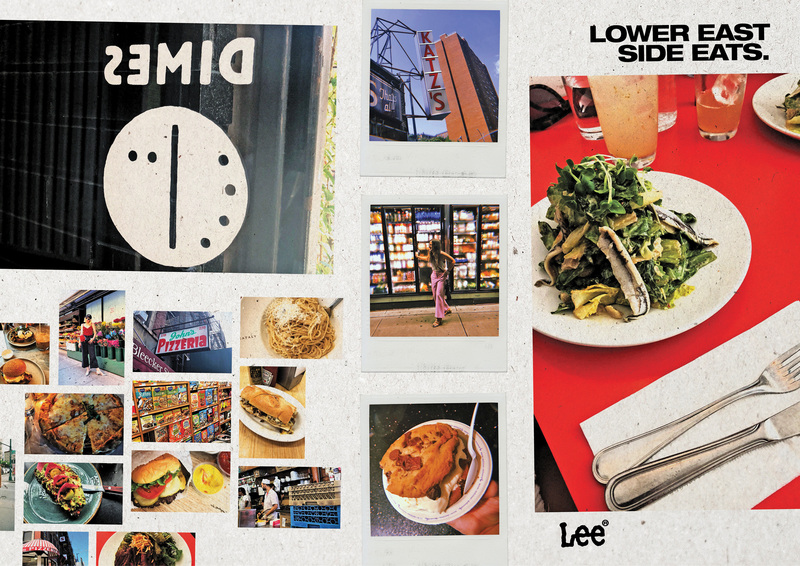 Check out our list of top Lower East Side eats; Dimes Restaurant – order the Kale Caesar, not just any old ordinary salad, trust us on this one. Chinese Tuxedo – epic modern Chinese food with a hip crowd and the odd celebrity sighting. Make sure you check out the bar below – Peachy’s for a Buddha Belly cocktail. Joe’s Pizza – famous pizzeria located in Greenwich Village. A good spot for a slice after a show at the Comedy Cellar Katz’s Deli – a New York institution known for “that” famous scene in When Harry Met Sally. We opted for the Rueben sandwich which was totally worth it but side warning: be prepared for the meat sweats…Insomnia Cookies – some of the best cookie sandwiches we’ve EVER had, but the best part? It’s open until 7am, perfect for a late night/early morning treat. Eataly – so good that we visited it twice. This indoor food hall is a carb-lovers dream and the closest thing to Italy in NYC. Think wood oven pizzas, homemade pasta and fresh mozzarella served with crusty bread and olive oil. Enough said. Cheeky Sandwiches – for a super tasty, cheap eatery you can’t go past these New Orleans inspired sandwiches – particularly the Fried Chicken with slaw on a buttermilk biscuit. Yep. While our wallets sure as hell weren’t equipped to cope with the likes of Balenciaga or Alexander Wang, we figured a little window shopping wouldn’t hurt so we took a step outside our denim zone and hit the high end market. Our fave spot to pound the pavement had to be Soho (particularly anything along Greene, Spring or Wooster Streets), here you’ll find an array of stores like Acne, Celine, APC, Gucci and Moschino, to name a few. For all of these labels in the one spot? 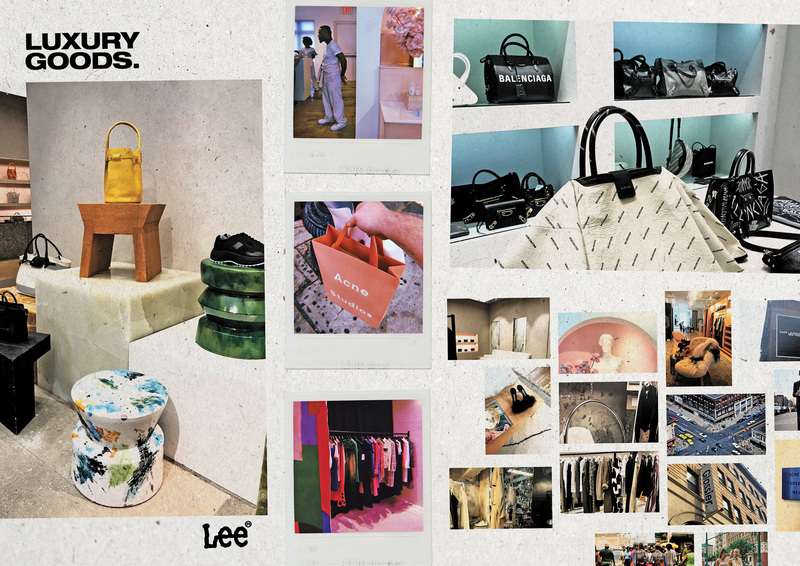 Check out Totokaelo – the store itself is a work of art, be sure to check out the bank vault style fitting rooms. For the gals in need of a beauty fix – get yourself to Glossier stat. This label has a cult following (with a line out the front to boot) and an epic beauty space where you can test out some of their top selling products including their Milk Jelly Cleanser, Cloud Paint blush and Haloscope Highlighter.